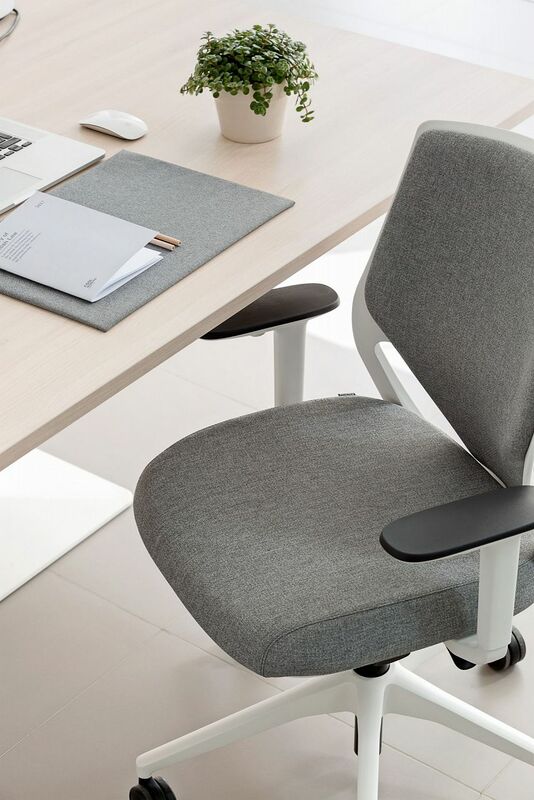 EFit has a young aesthetic, with the ulitmate combination of comfort and a light-hearted tone, yet serious and committed to ergonomics and caring for one’s health. It also prevents possible distractions due to discomfort. 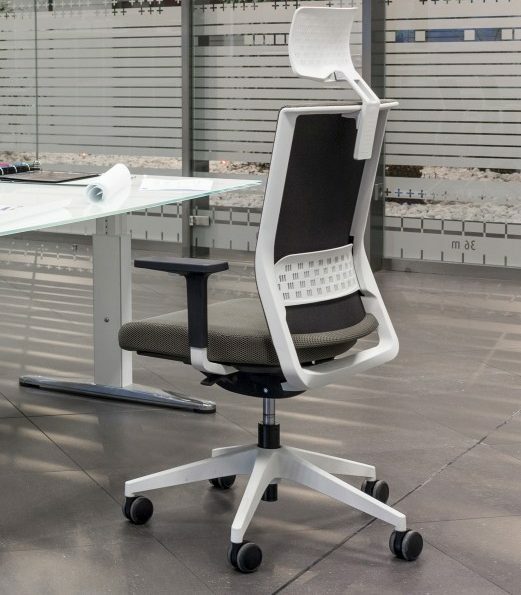 To do this, EFit has a flexible and breathable backrest that uses a dynamic lumbar system to respond to the movements of the back so that by lifting of this area, load is taken off the upper part of the neck and back. 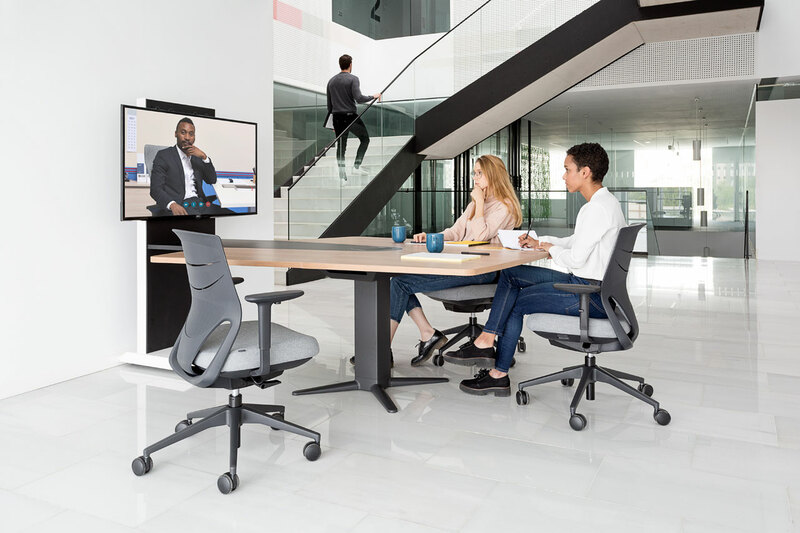 Furthermore, it has two back heights, a self-weighing system with four locking positions and an imprint on the lumbar area designed to bring the utmost comfort to the user’s back. It takes its inspiration from geometric shapes arising from bionics and 3D technology. 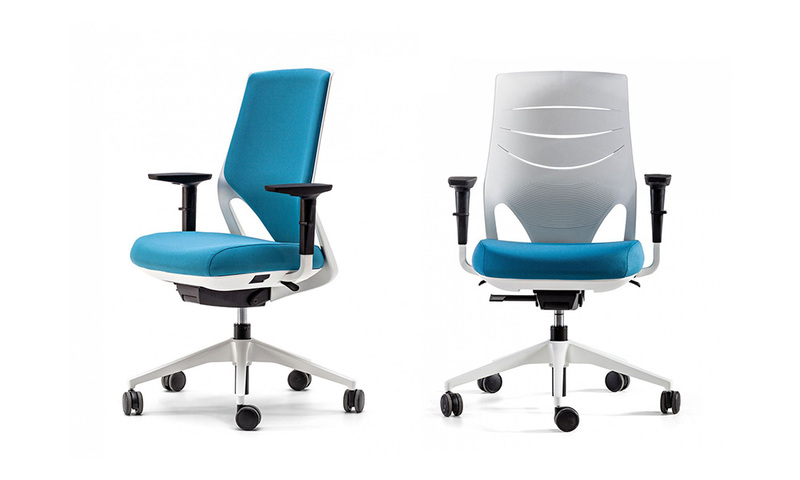 Efit 10 and Efit 40 models in a task chair and drafting chair. 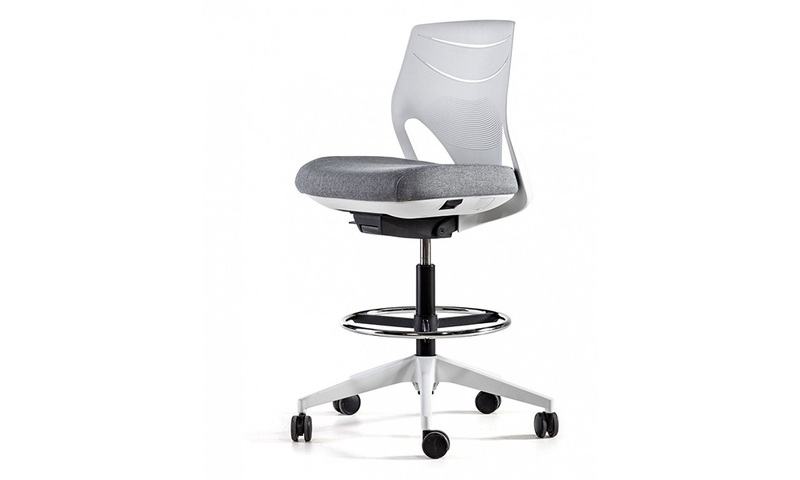 Two backrest height available: Medium or High. Upholstered seat available in a wide range of fabrics. Adjustable 2D arms available in aluminium or polypropylene, also available without arms. Base finishes in polyamide or aluminium. Foot options of soft band 65 mm anti-skid castors in black finish, security castors with auto-lockable system, black polypropylene (PP) caps with anti-skid rubber. 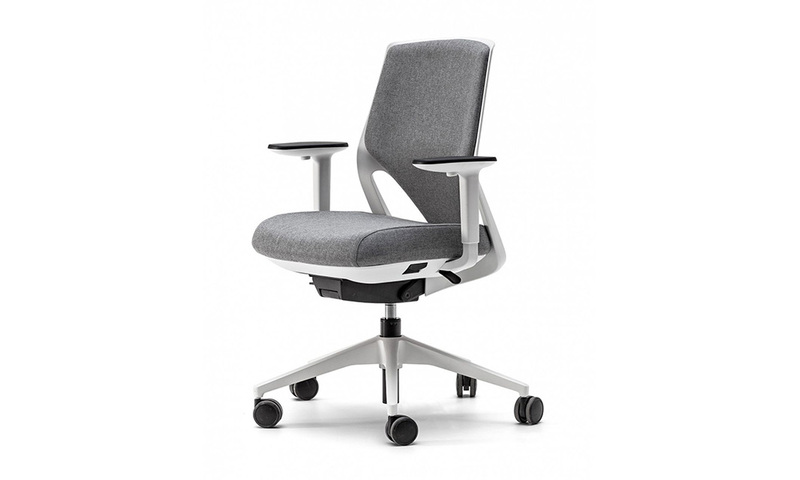 Backrest, PP with glass fibre (PP + 30% G.F.) frame with adaptive lumbar support. 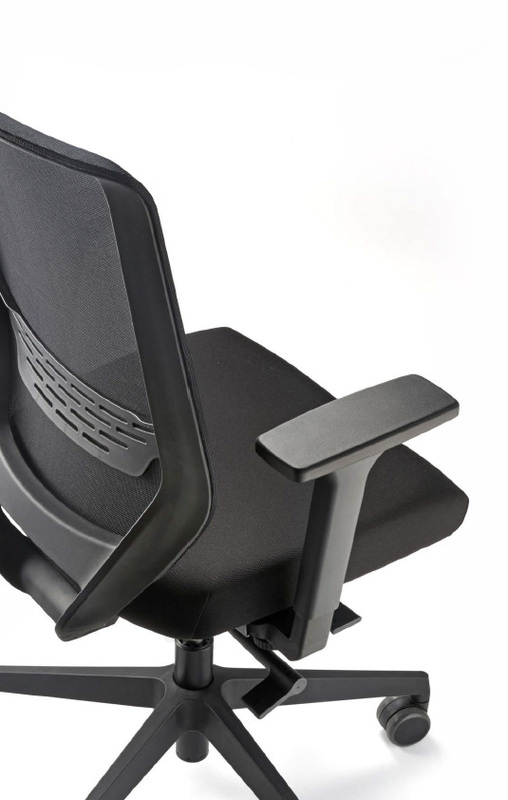 Seat made of PU (polyurethane) flexible moulded foam (density 55-60 kg/m3). Gas lift height adjustable system. Depth seat adjustment (70 mm) with return spring system. Auto-weight synchro control mechanism and 4 backrest tilt. Adjustable 2D arms - height 7cm, width, pivoting pad in aluminium only. 5 star Ø67,5cm diameter Base made of moulded Polyamide or die cast aluminium. Finished in white, black or polished (aluminium only).